Distiller Alex Chasko had a broad smile on his face when I visited Teelings recently. 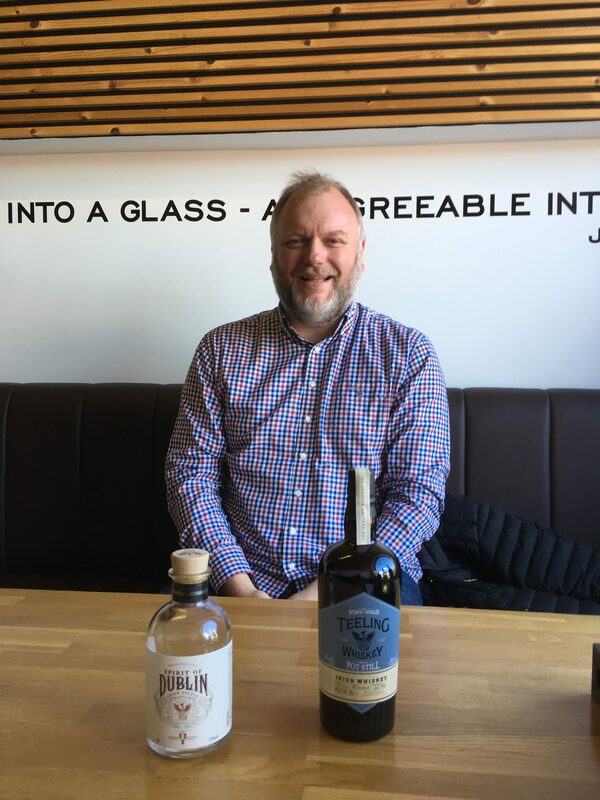 The company is understandably excited about the commercial release of its first whiskey distilled in its own distillery in the Liberties. It believes this is the first whiskey that has been distilled and aged in Dublin for 50 years. Made from 50 per cent unmalted spring barley and 50 per cent malted barley, the whiskey is triple distilled and matured in a combination of virgin oak, ex-wine and ex-bourbon barrels. Meanwhile, Powerscourt releases three new expressions of whiskey. The distillery has been going since June, and now has some 550 barrels of spirit starting the maturation process. The Fercullen Premium Blend “is a very nice balanced whiskey”, says distiller Noel Sweeney, who worked at Cooley Distillery for many years. Lough Gill distillery is being developed in the historic Hazelwood Estate in Sligo. It is working with Billy Walker, one of Scotland’s most respected distillers, who was voted Global Distiller of the Year in 2015. This weekend it releases limited quantities of three new whiskies, all 14-year-old single malts, at Whiskey Live (see whiskeylivedublin.com for tickets) at The Printworks, Dublin Castle, under the Athrú brand. Lough Gill has yet to begin distilling on the estate. The equipment has started to arrive, and will be followed by the pot still in mid-December. The plan is to begin distilling in April or May next year. Seductive mellow vanilla spice, with lemon zest, orchard fruits and a lightly toasty finish. From: Mitchell & Son, chq, and Sandycove, mitchellandson.com; online from Powerscourtdistillery.com; The Celtic Whisky Shop, celticwhiskeyshop.com. Light vanilla with floral notes, very pure clean fruits on the palate, with a lovely kick on the finish. A very attractive, subtle young whiskey. From: Teeling Whiskey Distillery, Teelingwhiskey.com; Dublin Airport; The Celtic Whiskey Shop, celticwhiskeyshop.com, and specialist off-licences. A wonderful rich powerful complex whiskey, creamy with red apple fruits, plenty of spice and very seductive toasted nuts and leather. A real Christmas treat. From: Mitchell & Son, chq, and Sandycove, mitchellandson.com; The Celtic Whiskey Shop, celticwhiskeyshop.com, Redmonds, Ranelagh; Redmonds.ie; Jus de Vine, Portmarnock, jusdevine.ie; Bradley’s Off-licence, Cork, bradleysofflicence.ie; McCambridges, Galway, mccambridges.com; Galvins, Cork, Galvinswine.ie. Superb, elegant whiskey with complex notes of ripe pear, honey, ginger spice, and orange peel. An excellent long finish. From: The Celtic Whiskey Shop, celticwhiskeyshop.com.